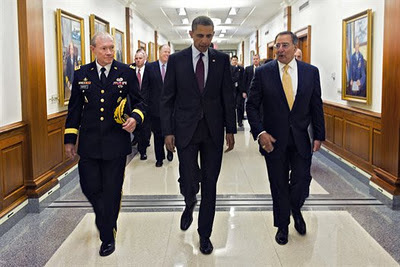 Middle East Perspectives by Rick Francona: The Obama Administration and Iran - an infusion of spine? The Obama Administration and Iran - an infusion of spine? Has there been a sudden infusion of spine at the White House? If you believe the words of Dennis Ross, one of President Obama's key advisors on Iran, it has been there all along - I'm not so sure. Ross served on the National Security Council as the Special Assistant to the President and Senior Director for the Central Region (Middle East, Persian Gulf, Afghanistan, Pakistan and South Asia). I first met Ambassador Ross in the early/mid-1990s while I was posted as the Air Attache to the U.S. Embassy in Damascus, Syria. He was a frequent visitor to Damascus as then-Secretary of State Warren Christopher attempted to restart the Syria-Israel track of the Middle East Peace Process. I found him to be extremely knowledgeable on the region, although his bias towards Israel was easily discernible. The Palestinians did not regard him as an honest broker, likely because of this perceived bias. According to Ambassador Ross, the President has "made it very clear" that he regards a nuclear-armed Iran as so great a threat to international security that "the Iranians should never think that there's a reluctance to use force...." He argues that those who believe the President would rather contain a nuclear-armed Iran than use military force to prevent the Islamic Republic from acquiring nuclear weapon are wrong. 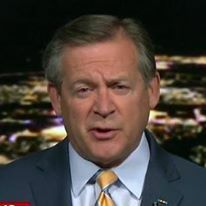 The ambassador claims that the Administration considers Iran with nuclear weapons a greater threat than the fallout from American military action against Iran's nuclear facilities. That is refreshing to hear, but I am not thoroughly convinced that this has been the President's position for any length of time. It has taken almost three years for anyone in the Administration to actually say that the United States will not permit Iran to acquire nuclear weapons. That's because it has been the policy of the Obama White House to "engage" the Iranians in hopes that rational diplomatic discourse would deter the Iranians from continuing on their program to enrich uranium and develop a nuclear weapon. There is also no doubt that the goal of the Iranian program is the development of a nuclear weapon. That engagement policy, in conjunction with ineffective economic sanctions, has failed miserably. It had about the same chance of success as the request to return the reconnaissance drone. While the President is of the belief that he was taking the high road and showing strength in trying to reach out to the Iranians, the Iranians, being Middle Easterners, regarded it as a sign of weakness. Combined with his sprint for the exits in Iraq and Afghanistan, the leadership in Tehran viewed his policy as one of capitulation. It was not until late last year that a senior Administration official - Secretary of Defense Leon Panetta - said the words many of us have been waiting to hear: "The United States does not want Iran to develop a nuclear weapon. That's a red line for us and that's a red line, obviously, for the Israelis. If we have to do it we will deal with it. ... If they proceed and we get intelligence that they are proceeding with developing a nuclear weapon then we will take whatever steps necessary to stop it. There are no options off the table. ... A nuclear weapon in Iran is unacceptable." The Secretary reiterated his remarks just last week, saying, "They [the Iranians] need to know that if they take that step, they're going to get stopped." The Chairman of the Joint Chiefs of Staff, Army General Martin Dempsey followed Panetta's remarks with the acknowledgement that the Pentagon has been planning and positioning assets to be ready to take military action if ordered to do so. This should come as no surprise - this is what military planners do. Finally, some spine from Obama Administration officials. It seems to be having the desired effect - the Iranians are finally taking notice. They appear to have come to the realization that they are dealing with a superpower. Combined with real sanctions, those "crippling" sanctions that Secretary of State Hillary Clinton has promised since 2009, these statements by senior American officials have Iran concerned. The Administration seems to have found Iran's Achilles heel - sanctions on Iran's central bank. Despite that, after the legislation imposing the sanctions passed overwhelmingly in the U.S. Congress, the President signed it only reluctantly. As Ambassador Ross said, "The latest measures are the first really affecting the core of their [Iran's] revenue, which is their sale of oil." The Administration, with the prodding of the Congress, finally gets it. Immediately afterwards, an Iranian official threatened to close the Strait of Hormuz. (See my earlier article, Iranian Navy versus the U.S. Fifth Fleet? I can imagine the reaction in Tehran when he said that - "You said what? Do you know what the American fleet will do to us if we try that?" So what is behind the Administration's newly discovered backbone? I would like to tell you that it was the realization that what we were doing was not working and it was time to adjust our policy to something that might. I would like to tell you that the new Director of the Central Intelligence Agency, retired Army General David Petraeus, and new Secretary of Defense Leon Panetta were able to convince the President that his policies were not working, and in fact were allowing Iran to proceed almost unhindered down the road to a nuclear weapon. Unfortunately, I think it has more to do with the upcoming Presidential election than the realization of a failed policy. The President needs something successful and popular to run on. Appearing to be strong on the Iran issue will help, as will the by-product of that stance: perception of the President's support for Israel, whether he really favors that or not. Whatever the reason, the American Administration is finally enacting the crippling sanctions we have been waiting for, and a senior official - the one who runs the armed forces - has made the declaration that we will not allow Iran to have a nuclear weapon. Spine - it's about time.